God of War: Ascension is the latest entry in the long-running, fan-favorite God of War franchise. It stars Kratos, the titular deity, and focuses primarily on his quest to slay all manner of beasties both mythological and largely fabricated to fit extant gameplay mechanisms. In sum, it’s one of the most brutal, action-packed gaming series of our modern era. 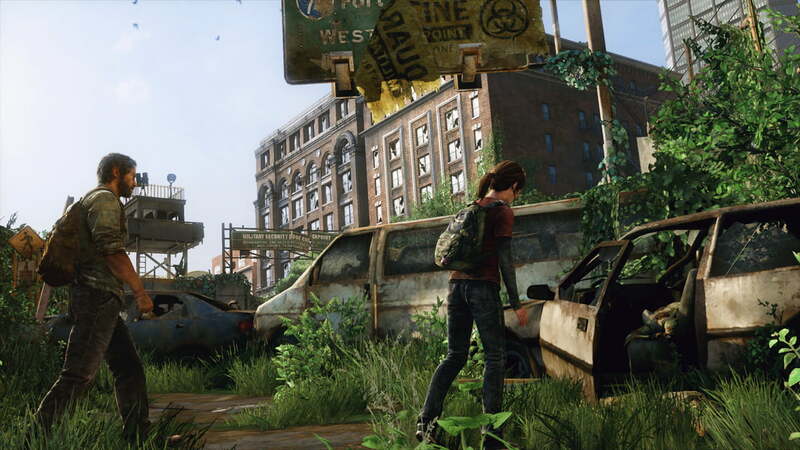 The Last of Us is a comparatively subdued survival horror game. It’s a brand new intellectual property, so we have scant knowledge of what the title might have in store, but from what we’ve seen of The Last of Us to date it appears to be akin to Cormac McCarthy’s The Road: Two people, one older, one younger, are pitted against a dystopian world chock full of people and environmental hazards that want them dead. Where God of War: Ascension is heavily focused on gruesome combat, The Last of Us is more reserved, offering only periodic bursts of violence meant to punctuate the tension of the rest of the experience. Other than the common “both of these are video games” denominator, God of War: Ascension and The Last of Us are as different as can be, yet the former will soon deliver us our first real taste of the latter. According to a new entry on the official PlayStation.blog, when God of War: Ascension reaches retail on March 12 it will include an opportunity to play a demo of The Last of Us. And when will this demo become available? We have no idea. Sony’s representatives promptly offered a polite “we can’t say anything just yet, but please stay tuned,” and none of the developers behind either The Last of Us or God of War: Ascension are talking. Obviously the demo won’t be available prior to March 12, but after that we expect the thing to appear pretty quickly. After all, The Last of Us is still scheduled for release on May 7, and that leaves scant little time for the game to bolster its playerbase prior to its retail debut. On the other hand, this nebulous demo offers us a nice opportunity to gauge how confident Sony is in The Last of Us. If the publisher opts to release the demo as quickly as possible it must feel that the game is good enough to stand on its merits. If Sony instead waits until moments prior to the game’s release to push out a demo it’s quite likely that the publisher realizes it has a bomb on its hands and is trying to mitigate damage and salvage any sales it possibly can. Fingers crossed for the former option, huh?